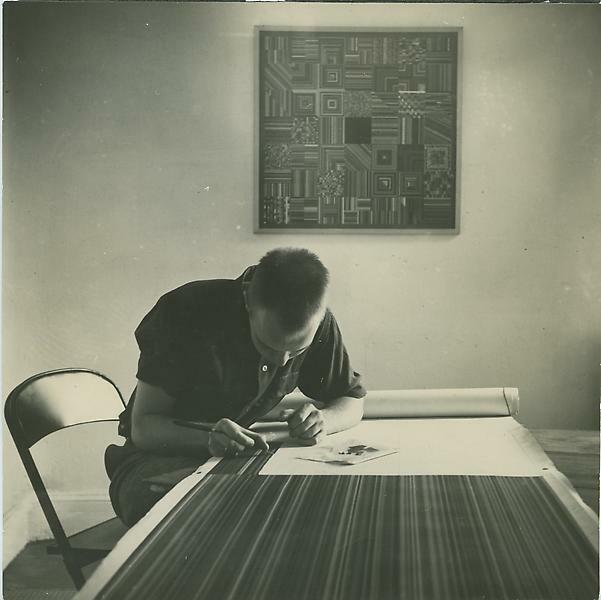 Ray Johnson at work on unknown painting with his piece "Calm Center" on the wall behind him, ca. 1948-52. Photographer Unknown.